The planets of our solar system, and other space-related things and concepts. An asteroid is very similar to a comet - it is a large rock that orbits the sun. Comets have a tail, while asteroids do not. Smaller rocks, from the size of a grain of sand to a large bounder are called meteoroids. When they enter the Earth's atmosphere, they are called meteors. If they hit the ground, they are called meteorites. 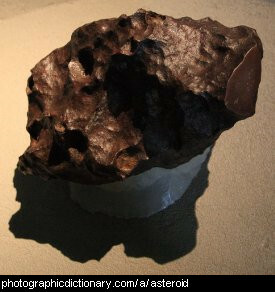 The photo is of a meteorite. 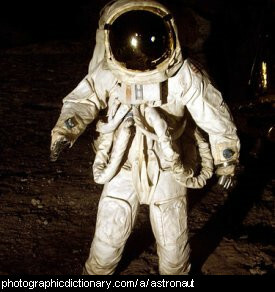 An astronaut or cosmonaut is someone who goes above the Earth into space on a spaceship. Astronauts sometimes visit the moon, and perhaps in the future they will visit other planets too. 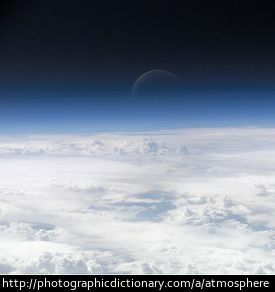 The atmosphere is the mixture of gases that surrounds the Earth, mostly nitrogen and oxygen. These gases protect us from the sun's radiation and make up air, which we breathe. 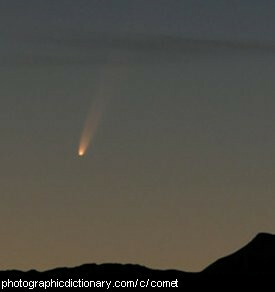 Comets are lumps of rock and ice that travel around the sun. They are usually a few kilometers across. When they get close to the sun, they develop a tail. The tail of the comet always points away from the sun. In astronomy, an eclipse is where various planetary bodies align and block the light from the sun. In a lunar eclipse, the Earth comes between the sun and the moon. 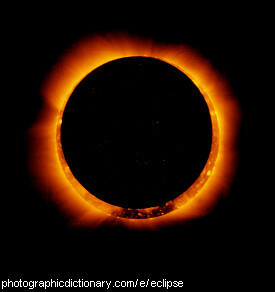 In a solar eclipse, the moon comes between the Earth and the sun. The picture is of a solar eclipse. In general language, you eclipse someone if you do something so much better or more obviously than they do that everyone notices you and not them, for example "her beauty eclipsed all others at the dance". A galaxy is a large group of stars and planets held together by gravity. 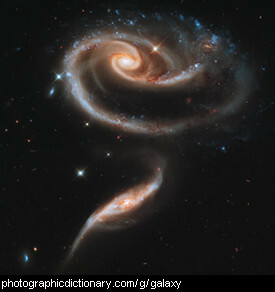 Galaxies are separated from each other by enormous distances. A meteor is a firey streak that can be seen in the sky when a meteoroid enters Earth's atmosphere. 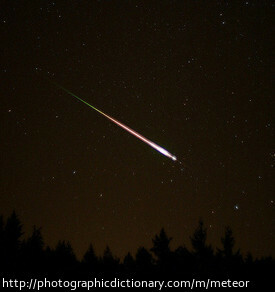 Meteors are often called shooting stars. 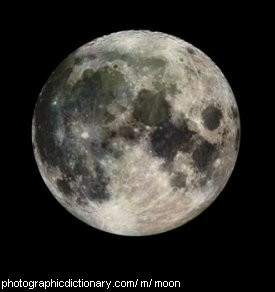 The moon is a round lump of rock, about one third the size of the Earth. The moon looks small because it is so far away. There is no air or life on the moon. Its radius is 1737.4 km. The moon is 384,400km from the Earth. 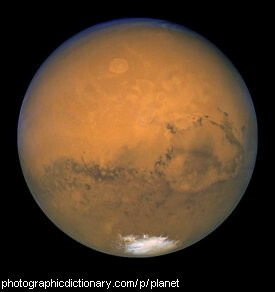 An orbit is the path that an object follows around another object, especially a planet or other celestial body. 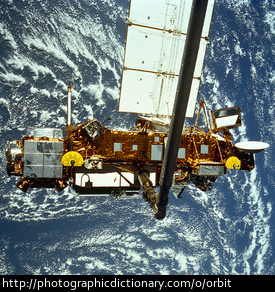 For example, Earth orbits the sun, and satellites orbit Earth.